Have you tried to send someone a message on Facebook Messenger only for it to miss its mark? If you had sent a message to this person before with some success, it is safe to assume that person has blocked you. But how can you know for sure? In this article, we attempt to answer that question. The person can chooses to stop receiving messages from you on Facebook Messenger. They can also block on you Facebook which can prevent you from sending them messages on Messenger. That said the following are just some of the ways to tell is someone has blocked you on Facebook Messenger. Step 1: Open Facebook Messenger app on your phone or tablet. Step 2: Type your friend's name in the search box located at the top of the screen. You should see a list of names matching the one you typed in appear below the search box. Step 3: Tap on your friend's name to begin chatting with them and then type a message to send to them. Step 4: Once you're done tying the message, tap on the send icon. 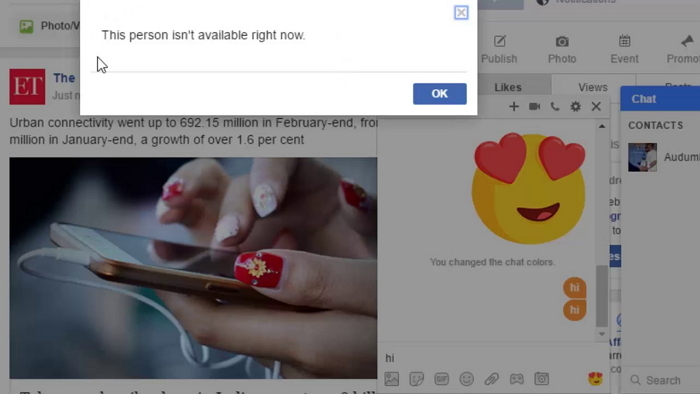 If you see a pop up saying "The person isn't available right now", the person has blocked you or deactivated their Facebook account. If the message is sent successfully, the person has not blocked you. It is likely they just haven't logged or read their messages in a while. Step 5. Then how to know the person has blocked you or deactivated their Facebook account? Just run Facebook on your phone and search the friends' name. If their profile appears normal, then they have blocked your messages. If you cannot find their profile but your mutual friends can see that, unfortunately your entire Facebook account has been blocked. Step 1: Go to https://www.messenger.com to access Facebook Messenger on any browser. Step 2: Sign in to your account and you'll see a list of conversations. Step 3: In the search box at the top-left corner of the screen, type in the person's name. You should see a list of names appear as you type. Step 4: Click on the person's name to begin chatting with the person. Step 5: Type your message in the chat box and then press "Enter" or "Return" on your keyboard to send the message. 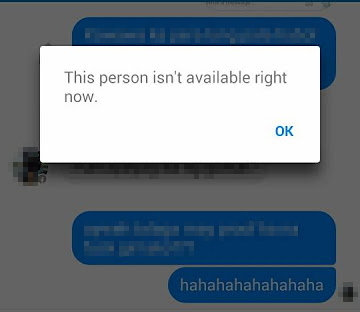 If you see a message saying "This person isn't available right now," the person has blocked your messages or deactivated their Facebook account. If the message is sent successfully, the person may not have logged in to their account or hasn't had time to check their messages. Step 6. The next is to confirm whether the person deactivated their Facebook account or blocked you messages. Just sign in to https://www.facebook.com and check their profile. If their profile looks normal, then your Messenger has been blocked. If you cannot find their profile but your other friends can see that, then your entire Facebook has been blocked. In case your friend has blocked you on Facebook or Facebook Messenger and you don't want to lose the conversations you had with them, you may want to backup all your Facebook Messages on your iPhone. 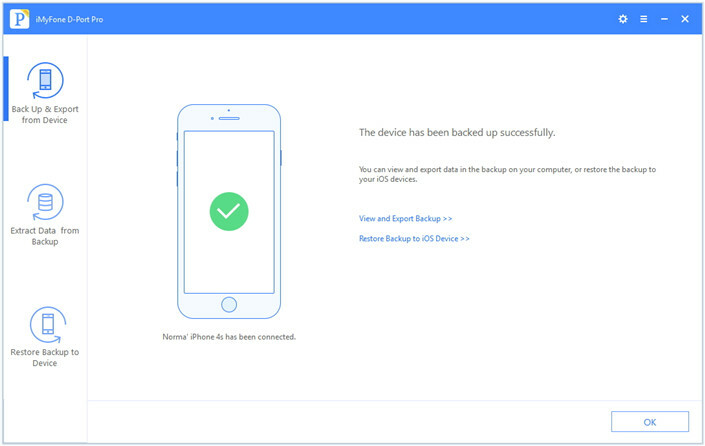 One of the best tools to back up the data on your iPhone quickly and effectively is to use iMyFone D-Port Pro. 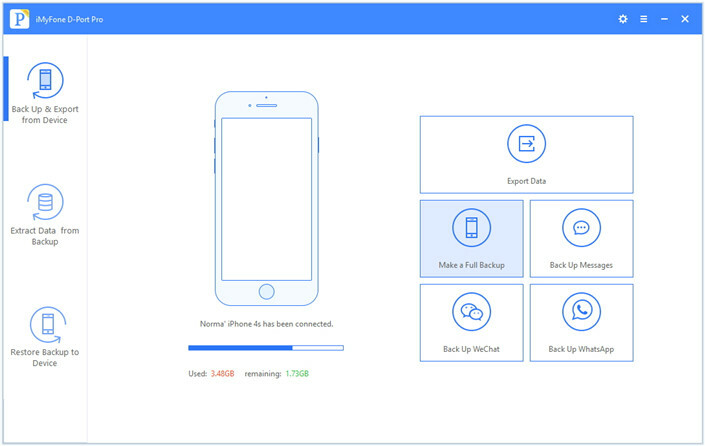 This backup and restore tool allows you to back up all types of data on your device in a single click or you can choose to only back up your messages, WeChat or WhatsApp data. It is easy to use and completely reliable. Step 1: download and launch the program. 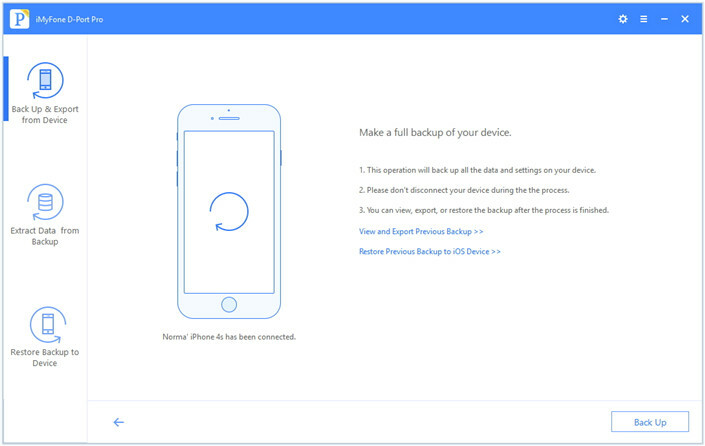 From the main window, choose "Back Up & Export from Device" and then click on the "Make a Full Backup" option. Step 2: Click on "Back Up" in the next window and the program will begin the process immediately. Step 3: You will be notified when the backup process is completed and all your Facebook messages have been backed up successfully. That's how you know if someone has blocked you on Facebook Messenger. Besides, iMyFone D-Port Pro provides you with a simple way to keep those old Facebook Messenger conversations safe or archive them for a later date. Use the program to back up your Facebook messages for free now.